The Tip Top Potter Wheel Craft Kit by Small World Toys includes everything you need to mold and decorate ceramic pots, vases and more. 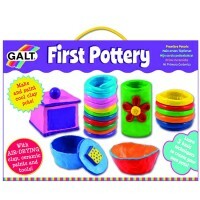 Mold, paint, and show off your own pottery! 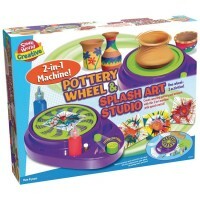 The Tip Top Pottery Wheel Craft Kit by Small World Toys is an exciting craft kit great for all creative kids. 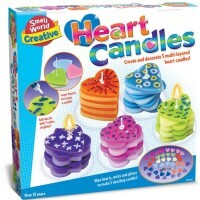 The unique art set from Educational Toys Planet includes everything you need to mold and decorate ceramic pots, vases and more. 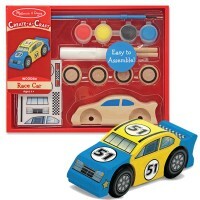 The child-friendly set is a safe and easy way for kids to create their own pottery. 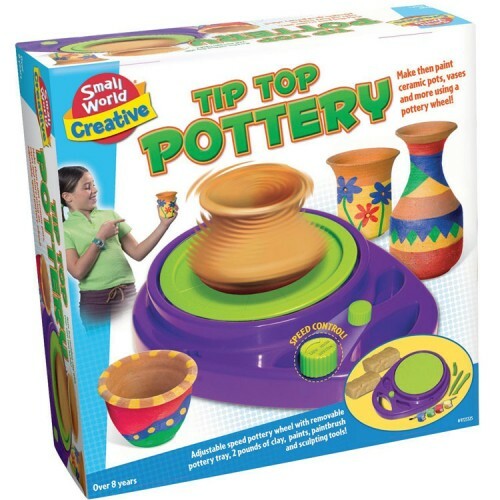 Take a look inside the Tip Top Pottery Wheel Craft Kit by Small World Toys and find 2 lbs. 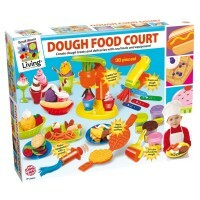 of clay, 4 paint pots, a paintbrush, a revolving tray, 2 child safe plastic sculpting tools, a shaping tool, and instructions. 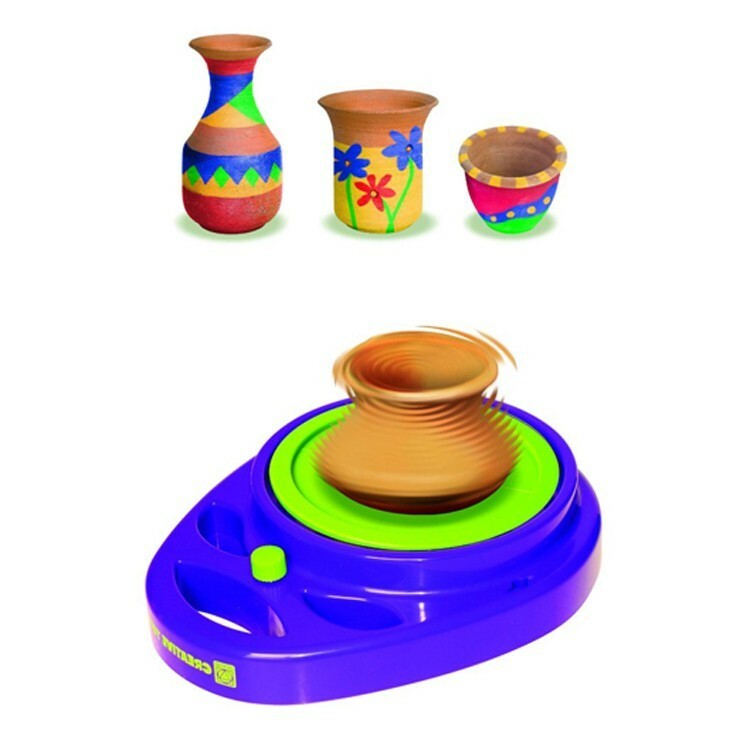 The unique spinning art machine also features a speed control knob so you can mold as fast or as slow as you want! 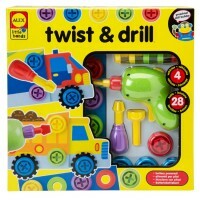 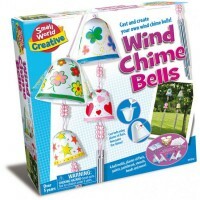 Show off your artistic handy work and fine tune your motor skills. 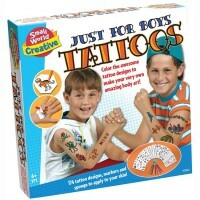 Create tip top work and have tons of fun! 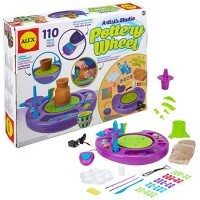 The pottery wheel requires 2 C batteries (not included). 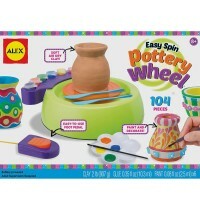 Dimensions of package 3.74" x 11.81" x 11.81"
Write your own review of Tip Top Pottery Wheel Craft Kit.